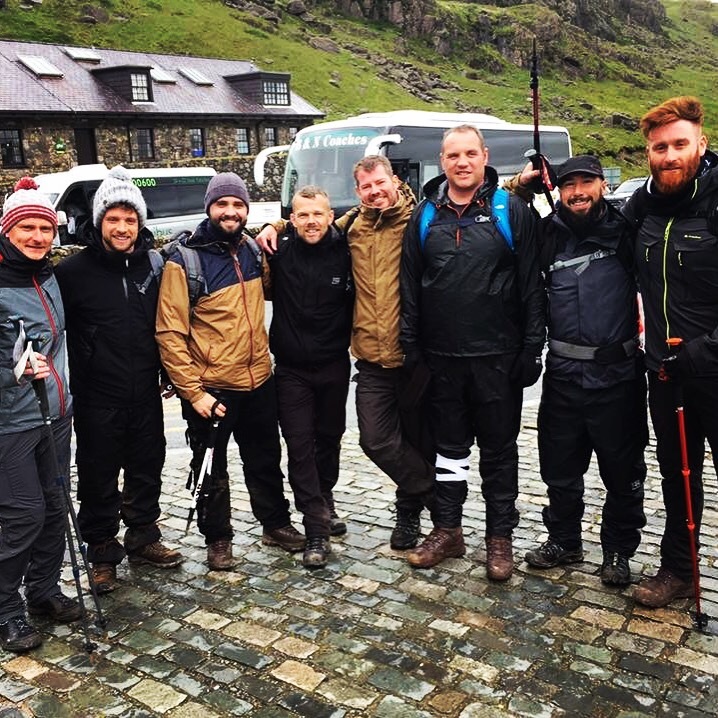 Hiking the three peaks for Children in Need. 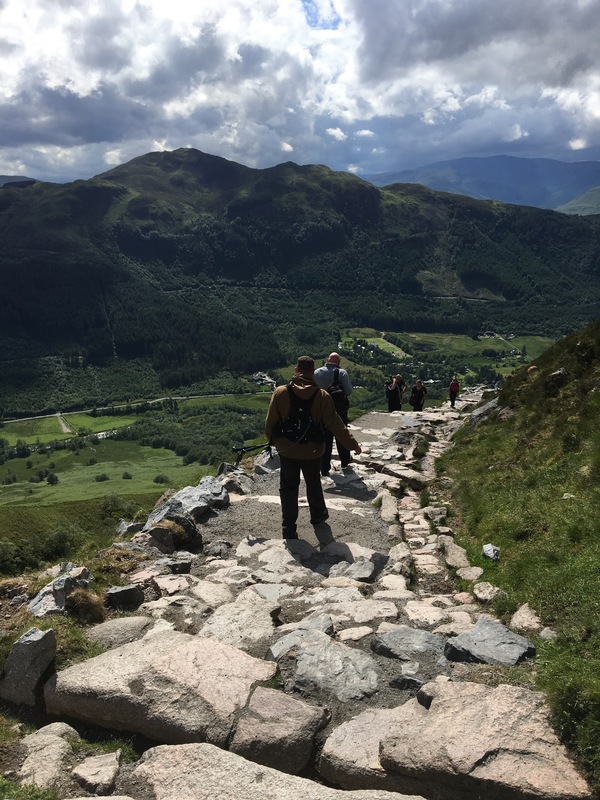 To warm up and build my confidence ahead of my trek to Everest Base Camp, some friends from the West Midlands, Pudsey bear and I hiked the three peaks; Ben Nevis – Scotland, Scafell Pike – England, Snowden – Wales to raise money for Children in Need. As some of you may know, I do strange things for pleasure fairly often BUT THIS, was a hard one and the weather was awful. The challenge was to climb all three mountains, one after the other, and drive between them, in under 24 hours. 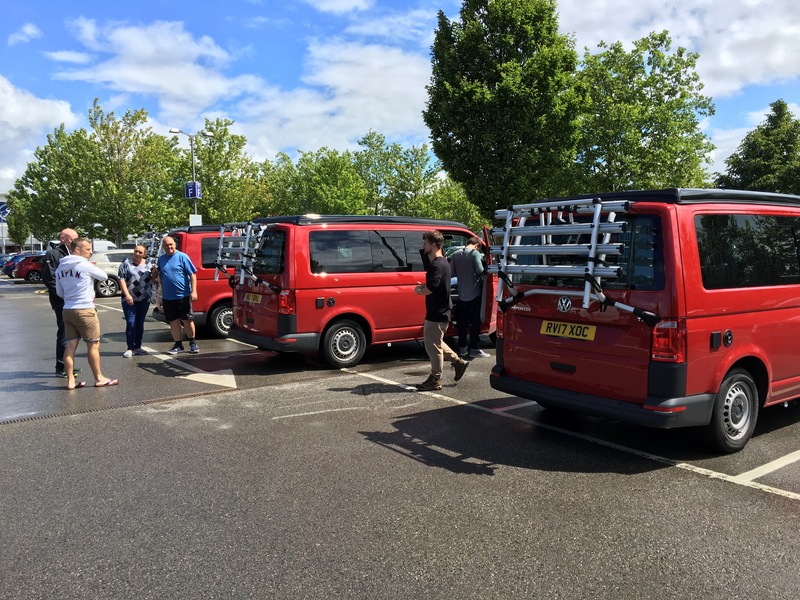 It is the London marathon of the UK hiking community. Ben Nevis (Distance: 10.75 miles, Ascension: 1,345 metres) is a big hill, in all directions from the top (when you can see) are lines of mountains to the horizon, and to the west the Atlantic and the Hebrides. From the base to the top took up nearly half the ascent of the entire challenge and we were in thick mist from half way up. The path was easy to follow, and only near the top does it peter out into a boulder field, which even in late June was covered in several feet of snow. Blizzards here are not uncommon, as we discovered. People know it as the Ben; the hill. I’m told it is not a mountain which you conquer, it is one to which you submit, and hope it lets you reach the top. Scafell Pike (Distance: 5.8 miles, Ascension: 978 metres) After spending several hours driving to the Lake District, it is to the volcanic hump of England’s highest peak, Scafell Pike, to which we turned our attention. 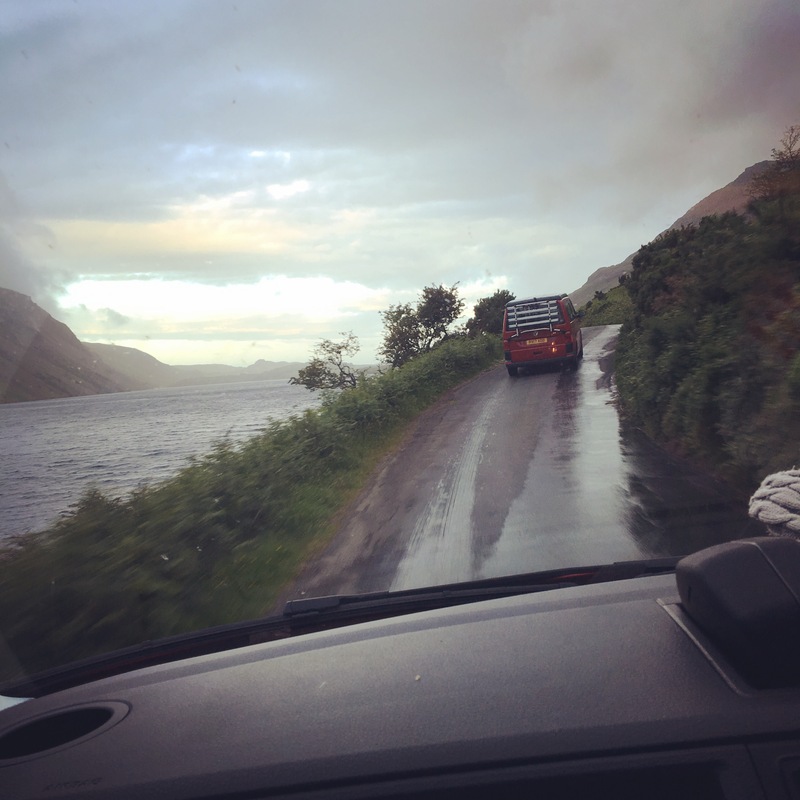 The main route up for the challenge starts and ends in Wasdale, a valley that swallows you whole. At its heart is England’s deepest lake, Wastwater, and the head of the valley is dominated by the mountains of Pillar, Kirk Fell, Great Gable, and of course the Scafells, not one peak but a whole range of peaks, jutting out of a 900 metre high plateau of shattered rock. The route up Scafell Pike looks steep and relentless. You gain height quickly, and at the summit, you can look back over Wastwater to the sea, and on a clear day, the Isle of Man. We hiked through Saturday night, so all I saw was the path, rocks and the beam of my head torch! As we approached the summit we were greeted by 60-70mph winds, capable of knocking you off balance in the darkness. Snowdon (Distance: 9 miles, Ascension: 1,085 metres) On a clear day, Snowdon is a peak that dominates everything around it. Unlike Scafell Pike, which is an unassuming high point in a land of similar heights, Snowdon shoots up into a great pyramid, its many ridges like arms reaching out into the valleys. There are nine walking routes up, several climbing crags, and dozens of lakes. 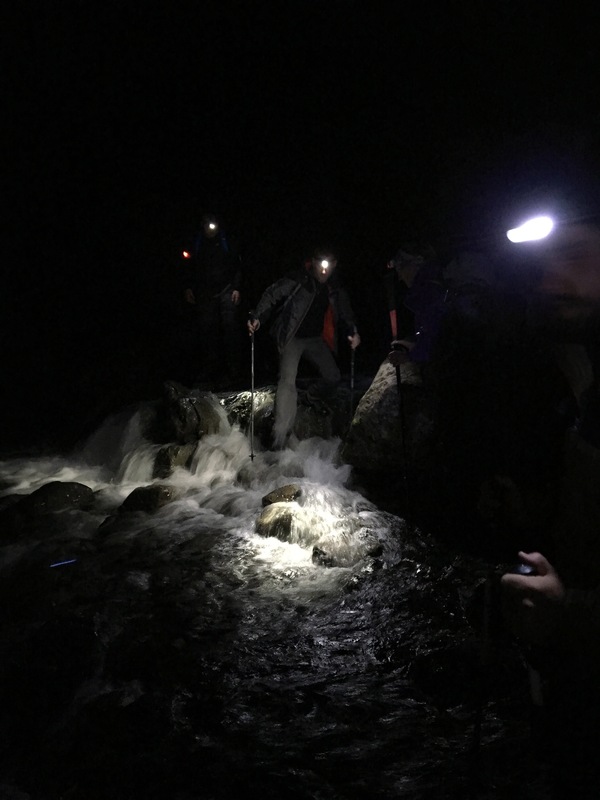 Hopefully if you ever hike down Snowdon, you will have time to appreciate where you are, we were running at this point to stay within the 24 hour window! Total distance in 24 hours: 25.55 miles, Total ascension: 3,408 metres / 11181.1 feet. One of the hardest physical and mental battles of my life!